You can specify the following report parameters:This report aggregates historical data and shows performance statistics for a selected organization virtual datacenter across a time range. 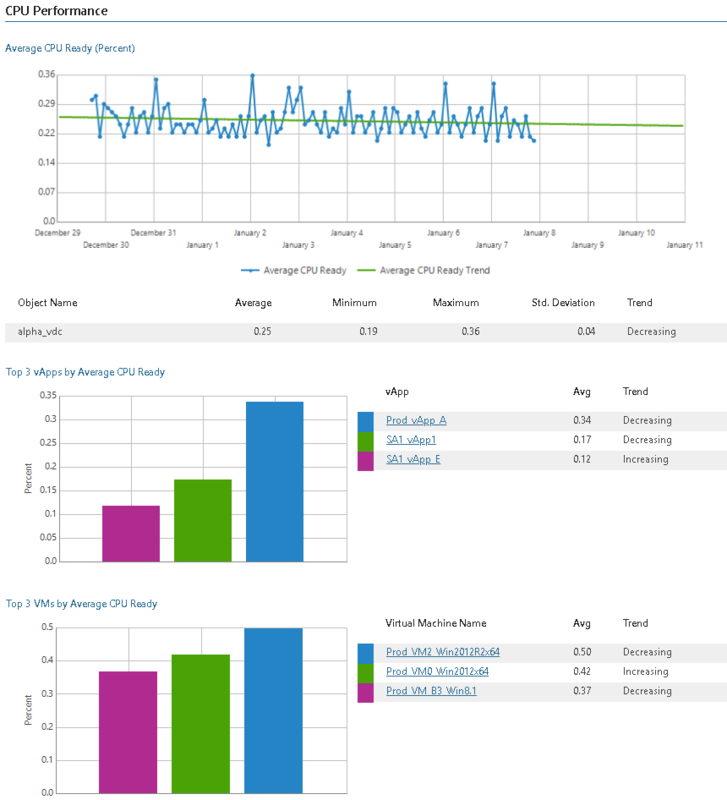 The report shows performance charts with statistics on CPU, memory, disk and network usage for the organization virtual datacenter, lists top resource consuming vApps and VMs, and calculates resource usage trends for them. Click a vApp name in the list of top resource consuming vApps to drill down to performance charts with statistics on CPU, memory, disk and network usage for the vApp. 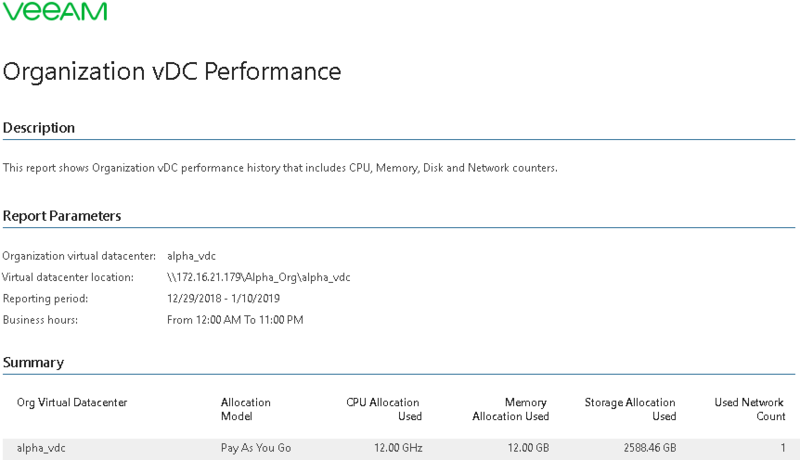 Click a VM name in the list of top resource consuming VMs to drill down to performance charts with statistics on CPU, memory, disk and network usage for the VM. The report helps you identify organization virtual datacenters with performance issues, right-size resource provisioning and eliminate potential performance bottlenecks. Object: defines the organization virtual datacenter to analyze in the report. Interval/Start Date - End Date: defines the time period to analyze in the report. Top N: defines the maximum number of vApps and VMs to display in the report output.